The plot unfolds in typical Marvel form. A reluctant hero who needs to learn the error of his ways so he may join in the battle of good vs evil and become… ” the one.” It’s sort of like Iron Man, except with a whole lot of magic. Now, I don’t want to diminish this because while it is a common road to take, the route is quite stellar. The execution proved to be masterful because it took the familiar and made it feel fresh even if it wasn’t remotely so. Now, I’ve said before that there are almost no original ideas left, and that’s okay. It’s all in the execution. Not once did I feel bored or taken out of this movie. Instead, I was hooked in and eager to see how things would unfold, almost as if it was the first time I had ever seen a movie of this nature, and that’s a testament to the writing. There are several clever story points within the main story that help to add to that uniqueness. The climax of the movie has a particularly smart moment that gives us a great example of attention to detail in a script. Obviously the spectacular visuals are a large reason why the film is as entertaining as it is but the strong characters, sharp dialogue and general inventiveness make the story as strong as it is. Excellent. Some of the most eye catching action scenes I’ve seen in a superhero movie in a long time. I worried that having a bunch of mystics fight each other might translate as boring on screen but my fears were squashed within the first 5 minutes of the movie. Things unfold like a James Bond film with mind ending magic in it, really setting the tone for the action to come. 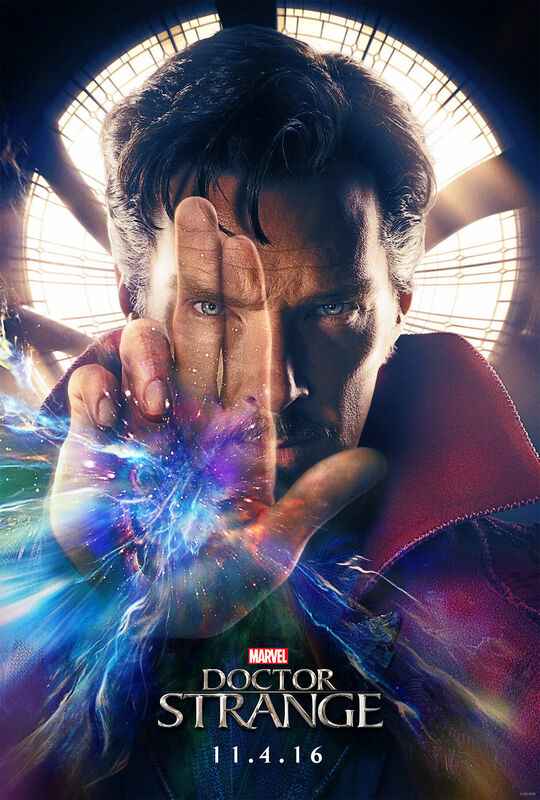 Any mystical movie that proceeds Doctor Strange will have a lot to live up to in the action department. It is reminiscent of Christopher Nolan’s Inception but even more crazy. As a fan, I was hoping that Dormamu would end up being the main baddie in this movie( SPOILERS) and he sort of is but instead we get Kaecilius, whom I knew nothing about prior to this movie. Kaecilius serves his purpose and is helped by the caliber of Mads Mikkelsen’s acting, yet he falls into the long list of Marvel’s underwhelming villain’s list. He’s not terribly interesting, and the parts of him that are interesting aren’t explored enough. I did find his motivations to be satisfying, so there’s that. Outstanding. One of the best ensemble casts Marvel ever put together. Everyone was good, and each had their moment to shine. I must admit I had my doubts about Benedict Cumberbatch playing the titular hero but I was thankfully wrong, he was wonderful. He plays Strange like a lite version of his Sherlock Holmes. You might say that it’s easier to like him here. Benedict Cumberbatch looks the part and acts the part, what more can you ask for as a fan or moviegoer. I would’ve liked to have seen more from Rachel McAdams’s character, Dr. Christine Palmer. She essentially plays his love interest but McAdams makes the most of the role. Ditto for Mads Mikkelsen. Tilda Swinton really works as The Ancient One. She already has a unique look to her and that really helps for this role, but more importantly than that was that I believed her in the role. 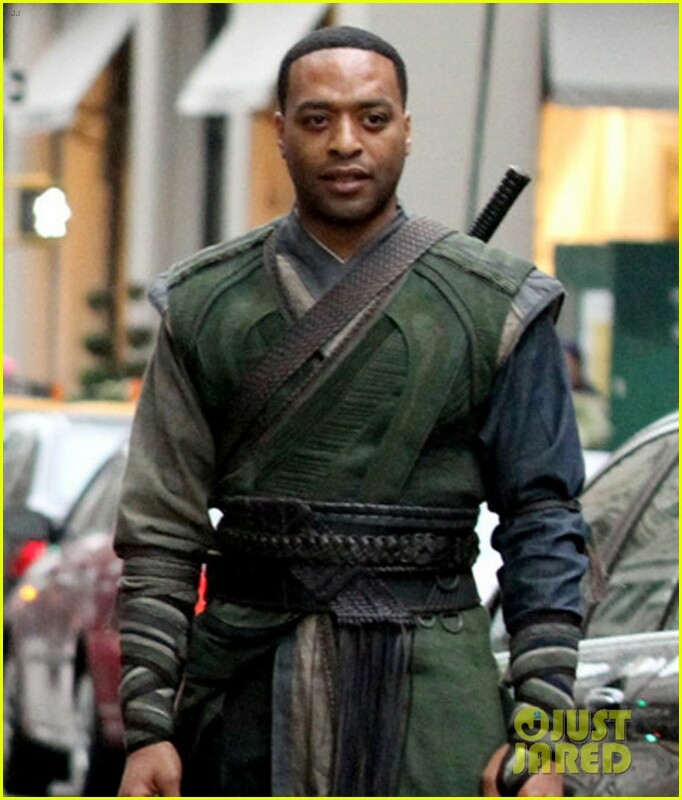 Benedict Wong provides an enjoyable take on the stalwart Wong from the Doctor Strange comics but my favorite of the cast had to be Chiwetel Ejiofor’s portrayal of another classic Doctor Strange character, Baron Mordo. I found him to e utterly compelling to watch. The scenes between he and Cumberbatch really stand out for me. I look forward to see what Marvel does with him( SPOILERS) because for those unfamiliar, Baron Mordo is one of Doctor Strange’s greatest adversaries. At this point I am still leaning on the idea that superhero fatigue has hit but Marvel continues to put out quality work, it’s only fair to recognize it. It’s one of it’s strongest entries to date. Far better than Ant-man, Iron Man 2 & 3, Thor 2 and more memorable than Avengers 2. I was entertained and invested from the beginning to the end, there’s no other way to put it. I appreciated that while it had humor, it didn’t rely on it. Doctor Strange is a serious character that should treated as such, and he was. I keep wondering when there will be fatigue from the audience out there but if Marvel continues it’s dedication to quality I can’t see their reign ending anytime soon. It’s a fun movie that’s beautiful to look at and it should be seen on the big screen.